They say a weed is simply a flower growing in the wrong place. And so it's a similar situation with insects. An insect pest is simply an insect in the wrong place. The point being that insects do play their part in the overall ecosystem of your garden, and that some on-the-face-of-it pests can actually help your garden grow. Yes, we sell moth repellant products, but in this article, I'm going to say some kind words about the moths that happen to be in the right places for you - the ones that help pollinate your flowers. Most species of butterflies and moths perform some type of pollination function. When feeding on nectar from flowers, pollen will be deposited on their appendages and then transferred to the stigma of the next flower that the butterfly or moth visits to feed on. 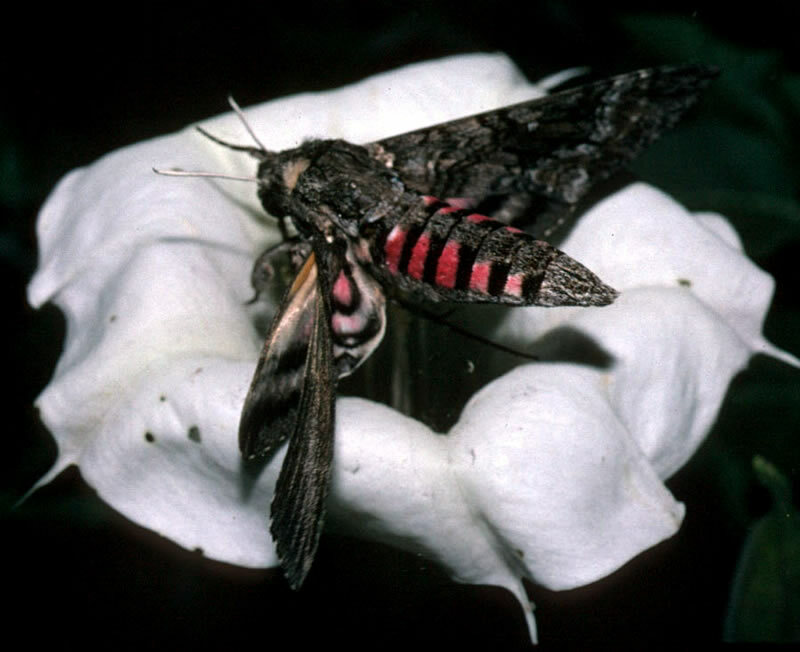 Moth-pollinated flowers tend to be white and, not surprisingly, night opening; they also tend to be highly scented with a strong scent that appears in the evening, night or early morning. So moths aren't inherently a pest - they do have their part to play - when they're (their larvae) are not eating through your clothes!